When people talk about mosque, minaret is the very first thought that comes to mind. 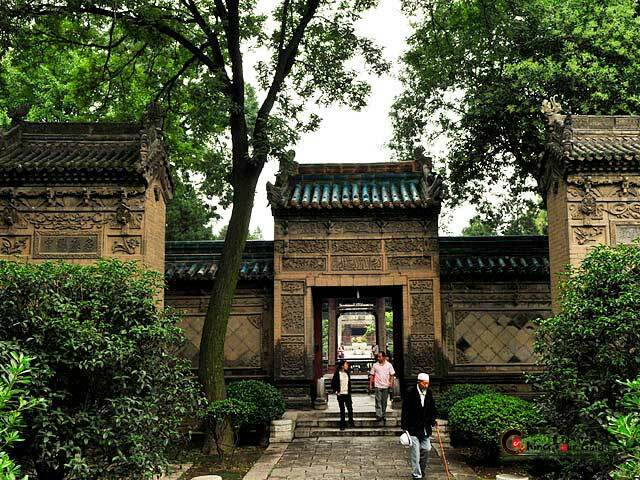 However, unlike most mosques in Middle East or Arab countries, the Great Mosque of Xi'an is completely Chinese in its construction and architectural style, except for some Arabic lettering and decorations, for the mosque has neither domes nor traditional-style minarets. 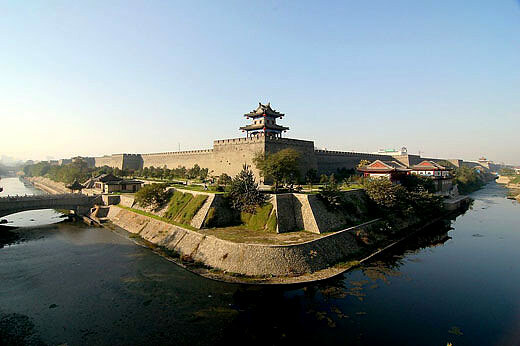 Originally built in 742 AD in Tang Dynasty (618 – 907 AD), Great Mosque of Xi'an combined Islamic culture with Chinese traditional architecture seamlessly and became most featured and renowned mosques in China. Gate of the Great Mosque in Xian Great Mosque is still used by Chinese Muslims (mainly the Hui people) today as a place of worship. For those whom have been to Great Mosque, they would be struck by its tranquil ancient buildings in such hustle and bustle city. When walk into the mosque, you would feel you enter the world of “The Arabian Nights”. 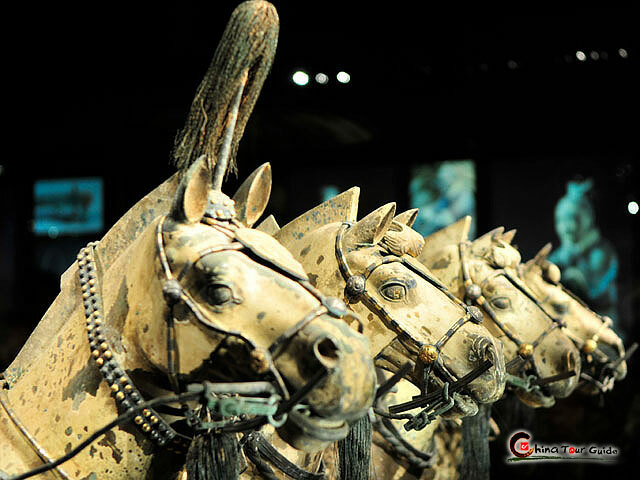 Since Tang Dynasty, the Arabian merchants bring the Islam to the Chang’an (early name of Xi’an) by crossing the Silk Road, some of them settled down here. They began to learn local laws and custom, spread Islam to local residents, then built mosque for their worship and pray. With reconstruction and extension in the following dynasties, Great Mosque became an architectural complex that owns large-scale pavilions, towers, arches and palaces. 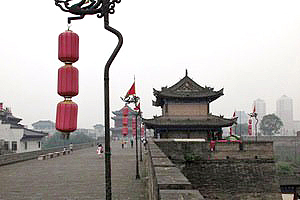 Ancient Chinese architecture contains Islamic element in the Great Mosque, Xi'an. 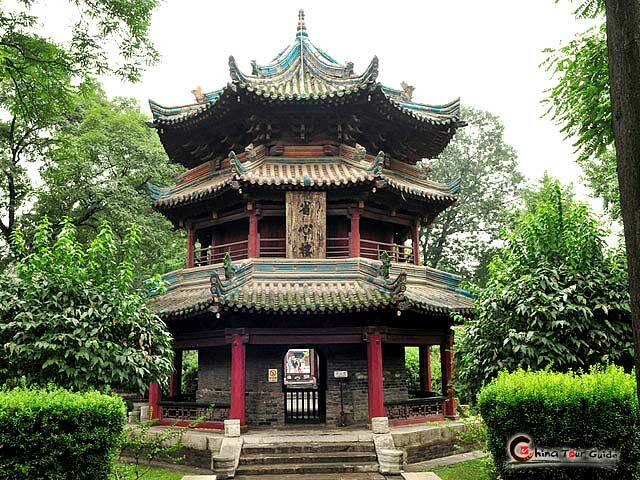 A Chinese pavilion instead of a minaret at the Great Mosque of Xi'an, one of China's largest mosques. It is consists of four courtyards in arrow. According to Islamic teachings, Allah is just amorphous without any forms or images. Therefore, they use skillfully constructed carving patterns to decorate their buildings instead of images of human or animals. In the Great Mosque, all the buildings and walls are elaborately decorated without any blank ones. The wooden memorial archway close to the screen wall in the front courtyard is construction of the 17th century. About nine meters in height, with upturned corner eaves, painted rafters and carved beams, this extremely magnificent-looking wooden memorial archway stands in harmony with the lofty screen wall. 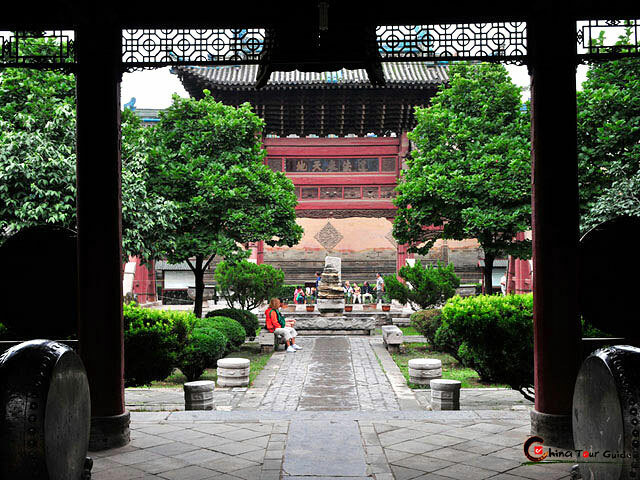 Entering the second courtyard, it covered with luxuriant the trees, the stone tablet pavilion stands right in the center with two flower nurseries in symmetry. Inside the Honored Prayer Hall is the third courtyard. In the center of it, there erects the three-storey octagonal minaret of fine structure called Retrospection Tower. The balustrade stone carving of two dragons playing with a pearl, which is said to be the remains of the Tang Dynasty, is just under the minaret. The courtyard is flanked by the scripture halls in north and south respectively where displays hand-written copy of Koran and map of Mekka. 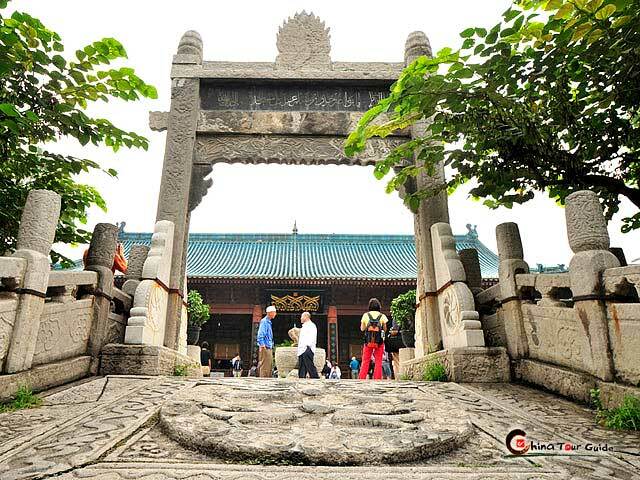 Great Mosque of Xi'an is completely Chinese in its construction and architectural style. Enter prayer hall is forbiddened when Hui people doing the pray. Then comes the fourth courtyard in which centers the Phoenix Pavilion. Unique in style, the pavilion which takes the shape of a phoenix spreading its wings and ready to fly. There are also two tablet pavilions standing on both sides of the Phoenix Pavilion. Entering the stone gate, stepping on the spacious platform, the Main Pray Hall is in sight. 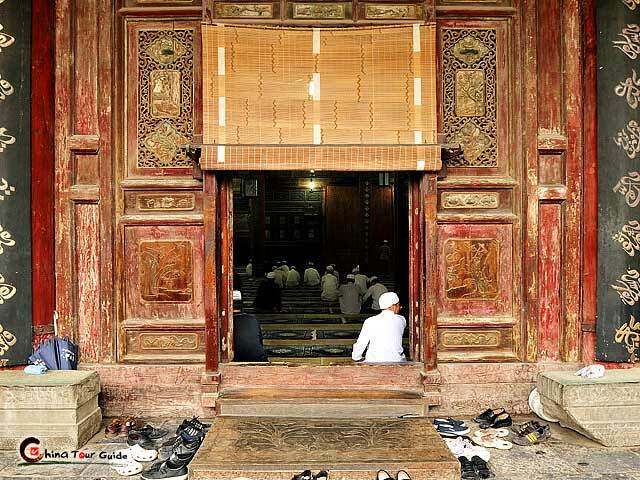 As big as seven rooms in width, nine rooms in depth, the Main Pray Hall takes an area of about 1,300 square meters accommodating some 1,000 for Pray. The ceiling of the Main Pray Hall is made up of about 600 pictures, all different in colors and designs. The mosque are full of Hui people during the praying time in every day. Muslims, both men and women, will do prays for five times in each day. These five times prayings are different in each months. It is spectacular to see the prays that we you visit the mosque at 12:30-13:00 or 16:30-17:30. Great Mosque boasts many relics including ancient furniture, paintings and calligraphy created by ancient celebrities, tablet art, the Koran in both Arabic and Chinese. 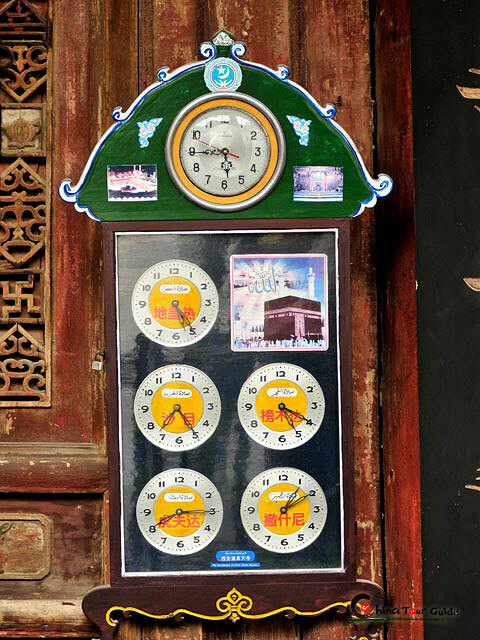 There are six clocks hanging on the wall at the entrance of Main Pray Hall, biggest one tell us the current time, other five clocks are the fixed time remind the Muslims when it is time to do the prays. Tourists are forbidden to get into the hall when the Hui people doing the prays. 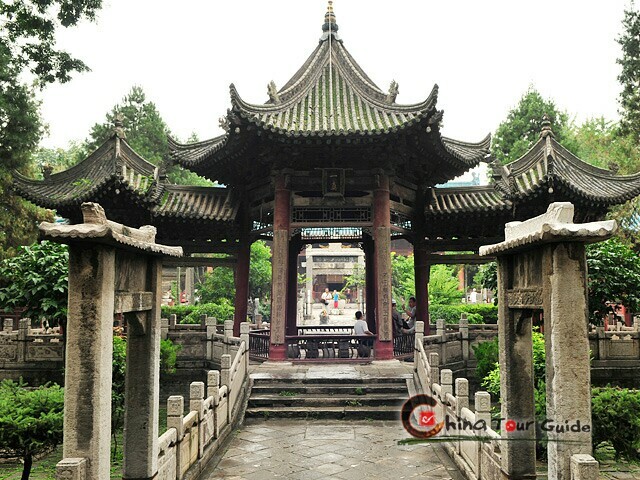 Enter prayer hall is forbiddened when Hui people doing the pray. Clocks tell Muslim people when to pray.